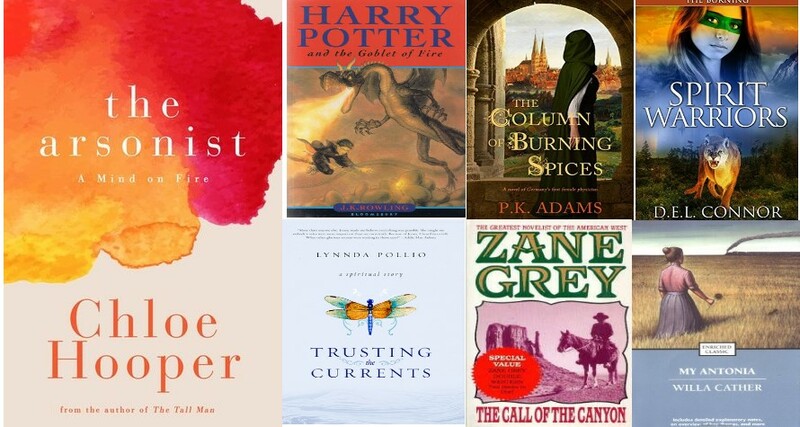 Hosted by Kate from Books Are My Favourite And Best The idea is to start at the same book as other readers, then find themes that link six books, and see where you end up! 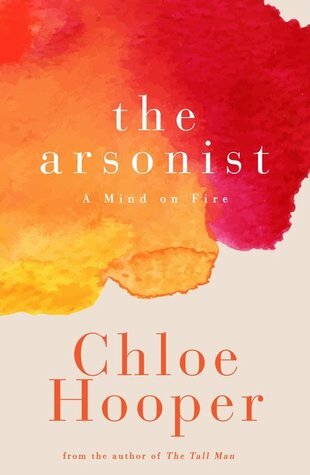 The starting point this month is The Arsonist by Chloe Hooper, a true crime novel. (I have not read this, but I have read my six books). 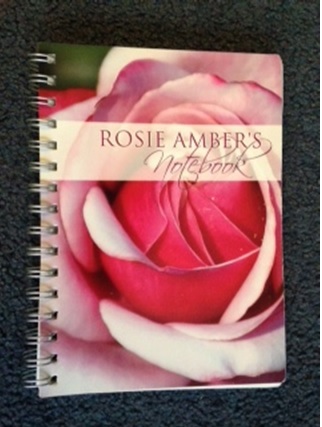 I chose fire as my link to my first book. 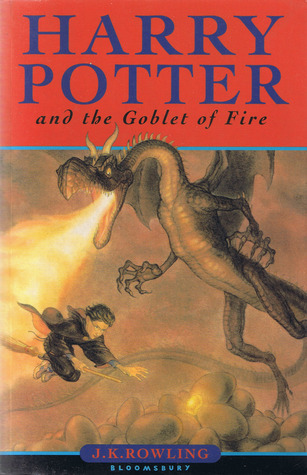 Harry Potter And The Goblet Of Fire. 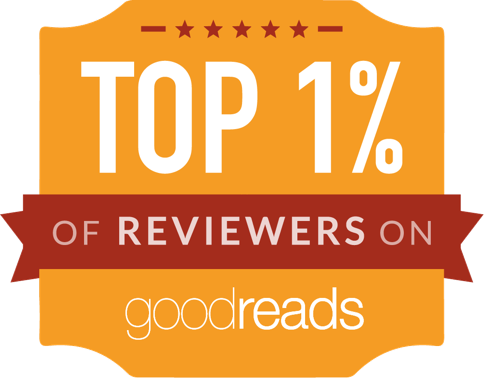 I’m sure I don’t need to tell readers about Harry Potter! 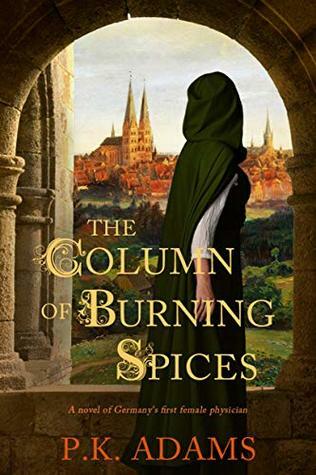 My next link goes from Goblet of Fire, to The Column Of Burning Spices by P.K. Adams. Book two of the Hildegard of Bingen series. Hildegard is regarded as Germany’s first physician; this book takes place in the twelfth century. I chose burning as my link to my third book. The Burning (Spirit Warriors #3) by D.E.L. Connor. 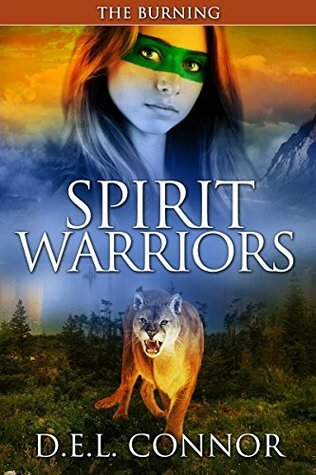 This is a #YA series, set in Montana around a group of teenagers and their connections to animal spirits revered by the Native Americans. Spirit was my link to book four. 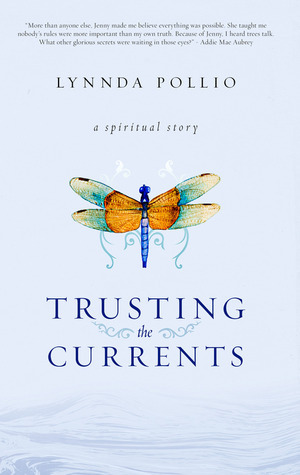 Trusting The Currents by Lynnda Pollio. Told through a form of conscious storytelling. It is the story of two women: Lynnda Pollio who reached a point in her life when she was ready for a spiritual journey, and Addie Mae, a Southern African-American woman who chose to speak about her own teenage life through Lynnda. My next link is about journeys. 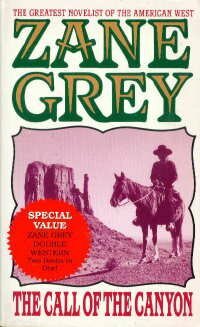 The Call Of The Canyon by Zane Grey. A western set in the 1920s. Parts of Arizona, particularly around Sedona, are said to be filled with strong cosmic forces conducive to healing and spiritual experiences. The author’s story of Glenn and Carley highlighted the effect the land can have on people. The link to my last book is early settlers. 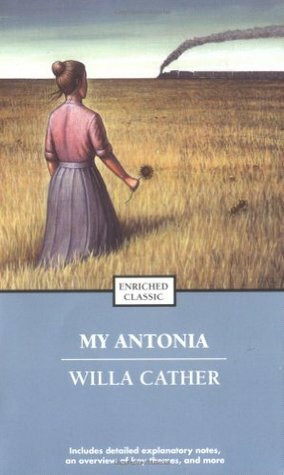 My Ántonia by Willa Cather. Classic American historical fiction set in Nebraska in the 1880s. 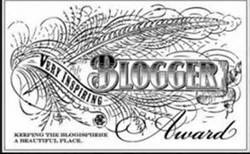 This story tells of harsh pioneering times, when people spread across America in search of a better future. 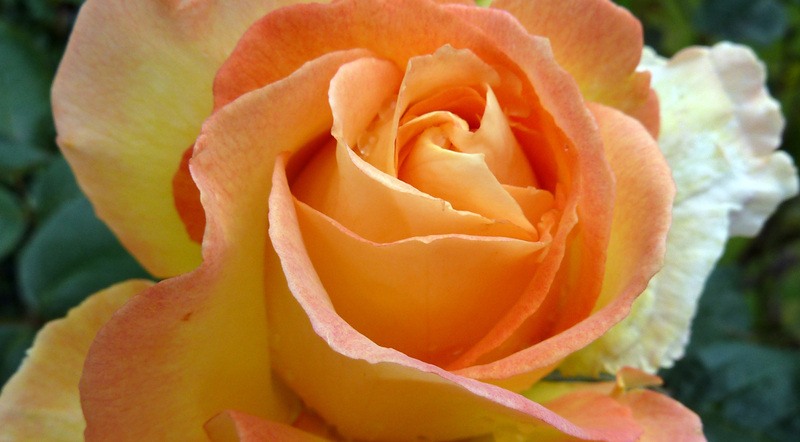 They tamed the land, withstood the seasons and the hardships that Mother Nature threw at them and many thrived.